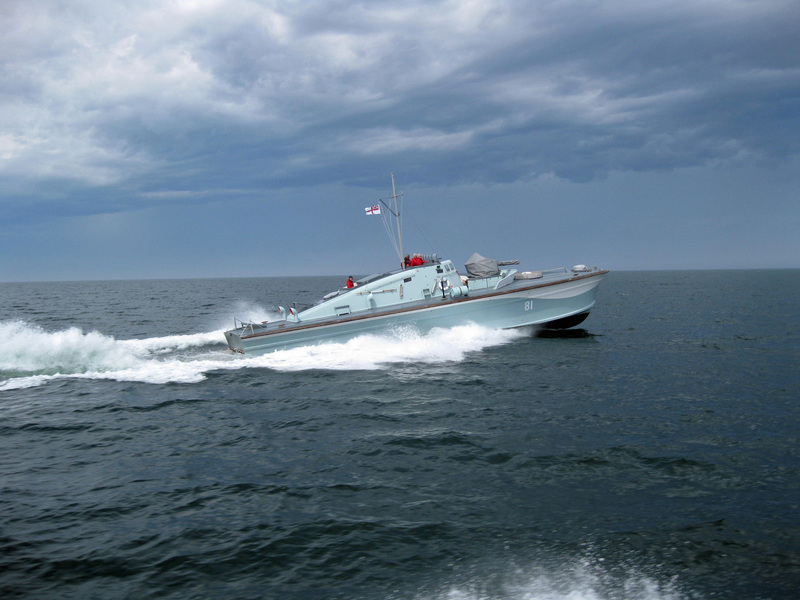 MGB 81's design was produced by the British Power Boat Company (BPB) in collaboration with the Admiratly and, in all, 105 of her type were built (including some which were completed as motor torpedo boats). 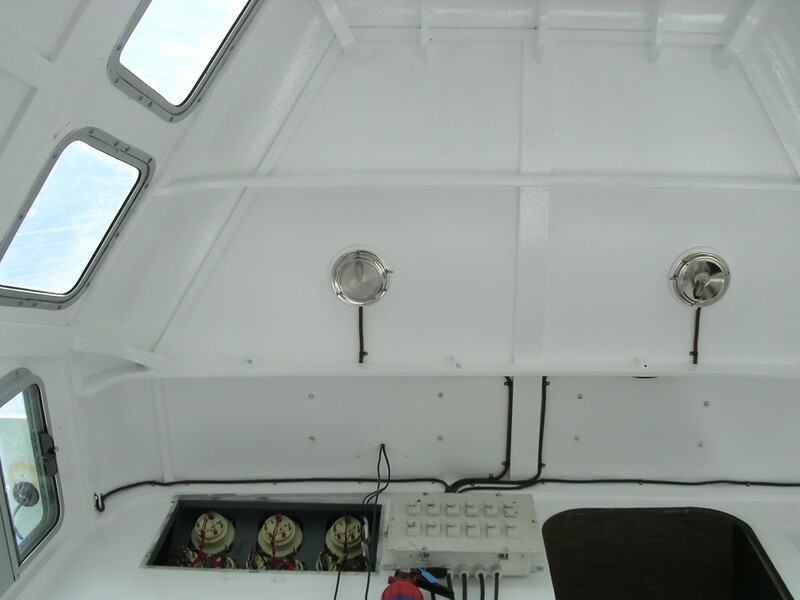 MGB 81 had a chine hull form using double-diagonal mahogany sides and a triple diagonal mahogany bottom. 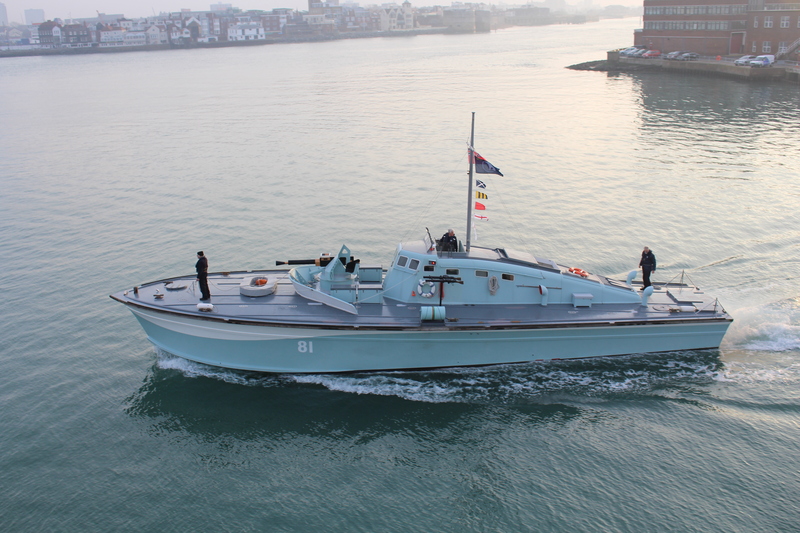 Although ordered on 27 November 1940, MGB 81 was not laid down until 16 December 1941. 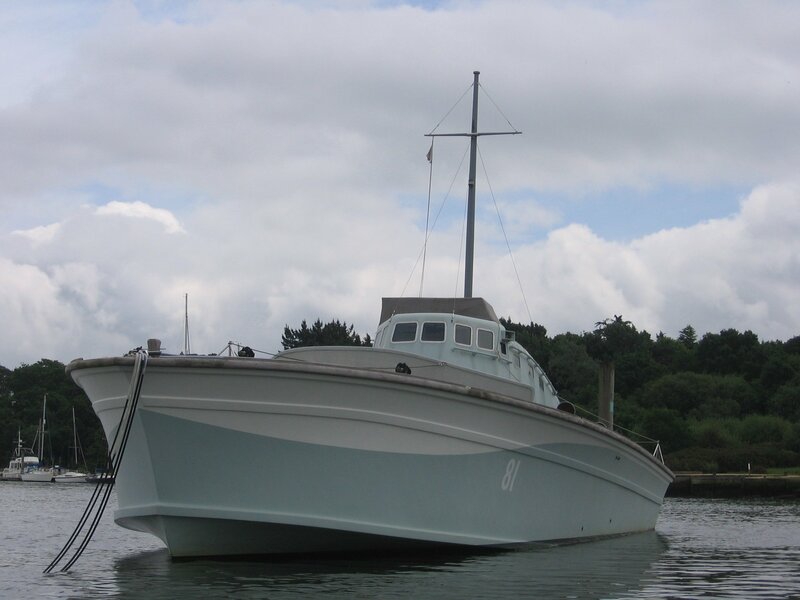 She was launched on 26 June 1942 and was by then virtually complete, for she was on trials on 8 July and achieved a speed of 38.63 knots on Southampton Water. 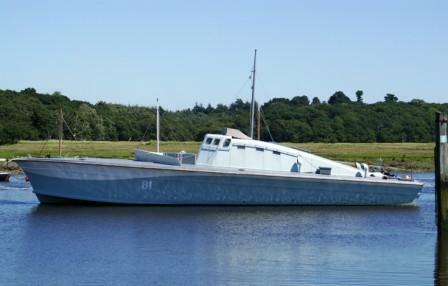 She was accepted and commissioned on 11 July 1942 and then worked up at HMS Bee, the coastal forces base at Weymouth, before joining the 8th MGB Flotilla at Dartmouth in August 1942. Between then and September 1943, MGB 81 was involved in six actions. Off Guernsey on the night of 13/14 August 1942, she engaged in a close-range gun attack on two enemy armed trawlers and one trawler was severely damaged. 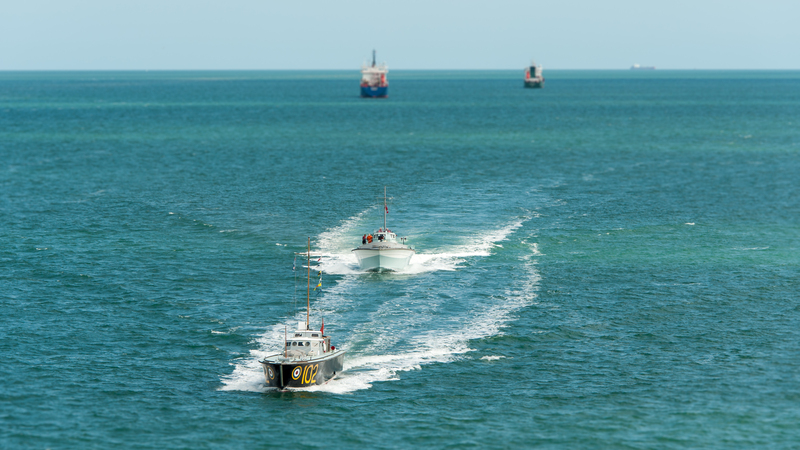 The next month, the flotilla moved to Felixstowe and MGB 81 was soon in action off the Hook of Holland on 14/15 September, when two enemy motor vessels were damaged by gunfire and four armed trawlers were hit, with no damage to the MGBs. In another action off Holland on 2/3 October, four enemy armed trawlers were engaged, and one of the flotilla, MGB 78 was lost. On 27/28 February 1943, the MGBs fought the escorts of a German convoy off the Hook, resulting in the sinking of MGB 79, and damage to MGB 81 caused by a shell hitting the engine room. 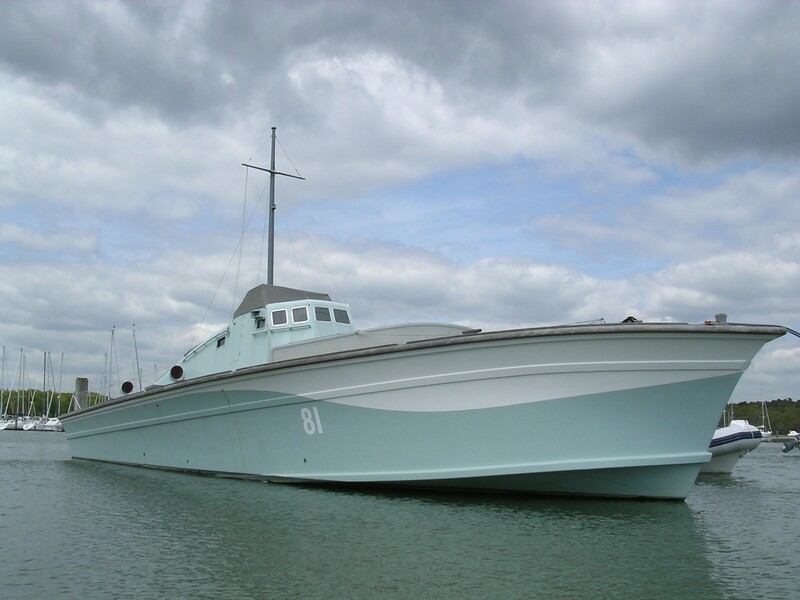 In April 1943, the flotilla returned to Darmouth, though MG 81 was refitting at Brightlingsea from 29 April to 20 May. 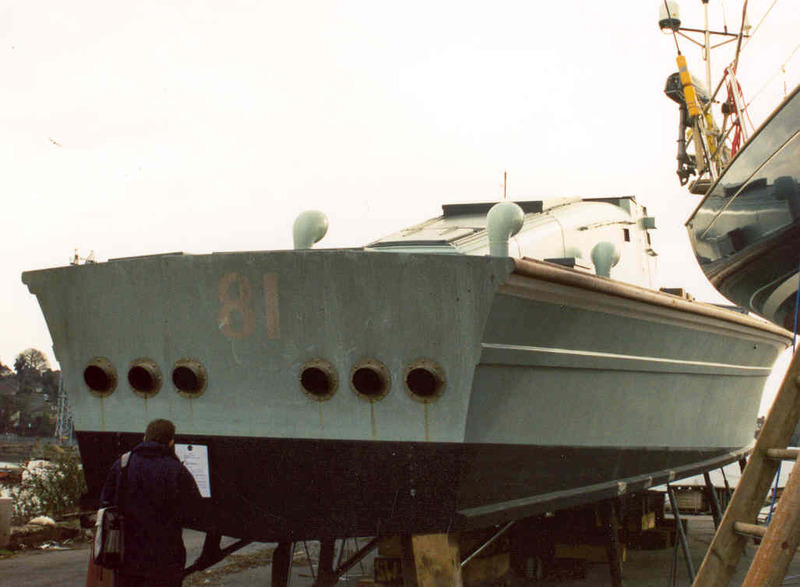 In June 1943, she was damaged in collision with MGB 115 and was repaired by BPB at Poole. 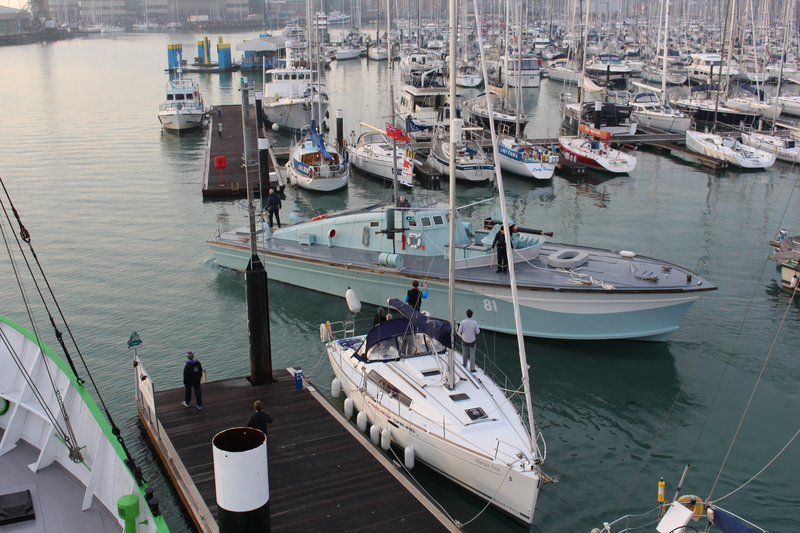 On 11-12 September, she again sustained damage when fired on by shore batteries at Cap la Hague and spent the rest of the month being repaired at BPB's Poole yard. In late September 1943, the boat was renumbered MTB 416 and her designated armament was increased to reflect her new role, with the addition of two 18-inch torpedo tubes. 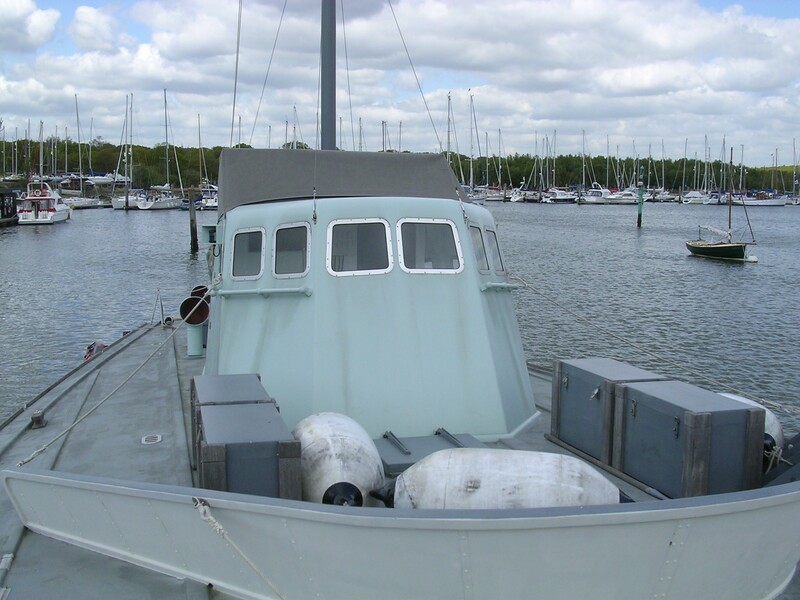 Even though they were given the motor torpedo boat (MTB) classification, some of the former MGBs did not ship torpedo tubes, so it is not certain that MTB 416 was so fitted. 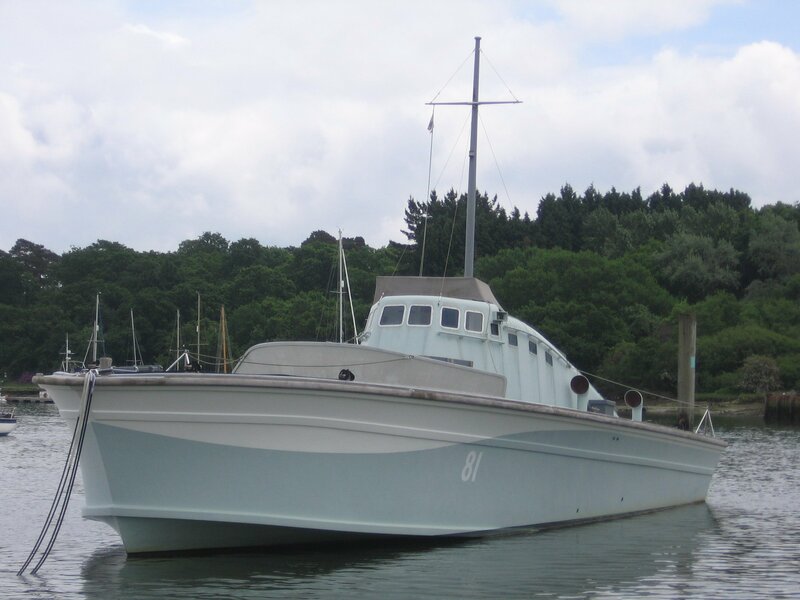 Her flotilla became the 1st MTB Flotilla and redeployed to Ramsgate for a short period in October 1943 before returning to Dartmouth. 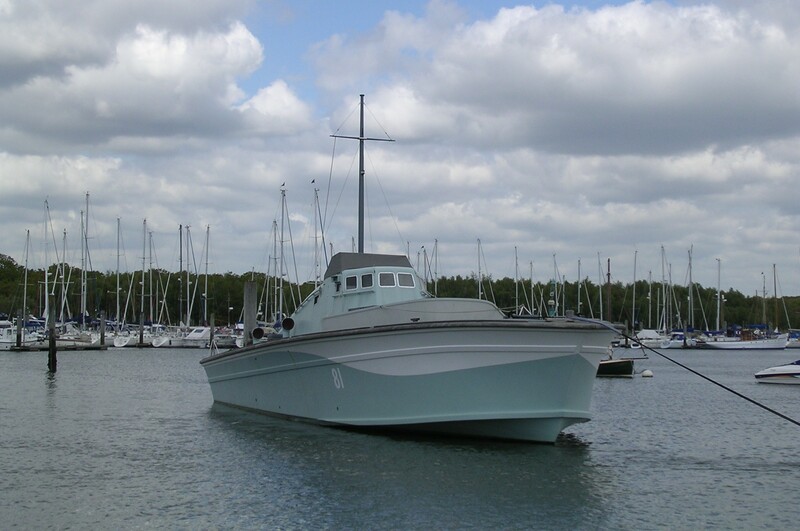 MTB 416 was refitted at Poole by BPB between 5 January and 2 March 1944. Her first recorded action as an MTB was in Lyme Bay on 21-22 April, when she engaged German E-boats and sustained action damage. Repairs were again made at Poole, but she was back in action for Normandy landings, where she was involved from 6 to 30 June 1944, with Gosport as her base. On the night of 23/24 June, she was involved in an attack on a German convoy leaving Cherbourg. Although MTB 416 was only backing up this operation, one of her crew was killed. On the night of 18/19 July, she obtained hits on German R-boats off Cap d'Antifer, but her hull was damaged by gunfire and she returned to Poole again for repairs. In September 1944, the flotilla's base changed to Lowestoft and her next action was on 14 February 1945 at Ostend. On 27 April 1945, with the war in Europe in its final days, she paid off at Poole and was placed in reserve. On 2 October 1845, MTB 416 was approved for disposal and was later sold. Little is known about her subsequent history until 1958, when she was arrested by Customs officers at Shoreham whilst on a smuggling operation. She was sold on for use as a sailing school accommodation ship at Hardway, Gosport, and renamed JOLLY ROGER. In 1964, she was sold to become the houseboat CRESTA, also at Hardway. 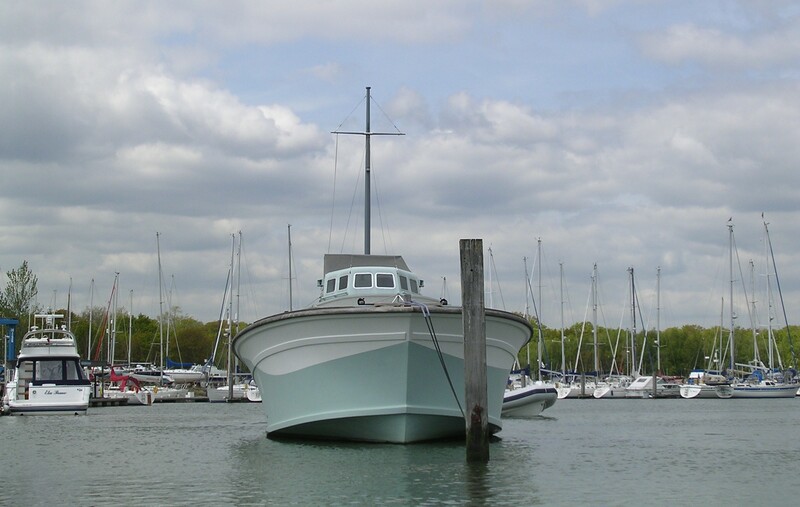 In 1984, she was towed to Burlesdon on the River Hamble, and in 1988, was bought by Guy Webster to restore her to her wartime appearance. 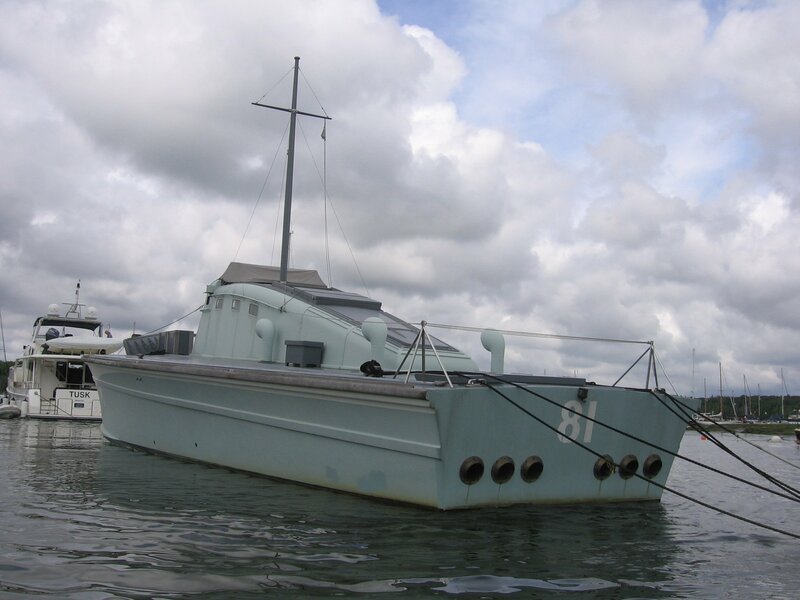 On 17 September 1998, she was bought by Philip Clabburn and was reconstructed at the British Military Powerboat Trust's Marchwood site between 1999 and 2002. 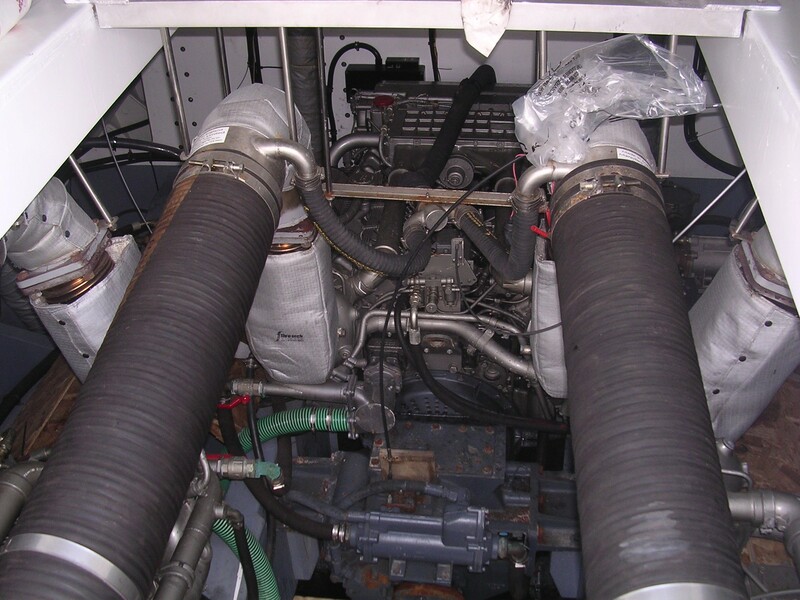 Petrol engines were thought to be prohibitively expensive to run, so three 1,000-bhp V-12 MAN turbocharged diesel engines were fitted, giving an estimated top speed of 45 knots. 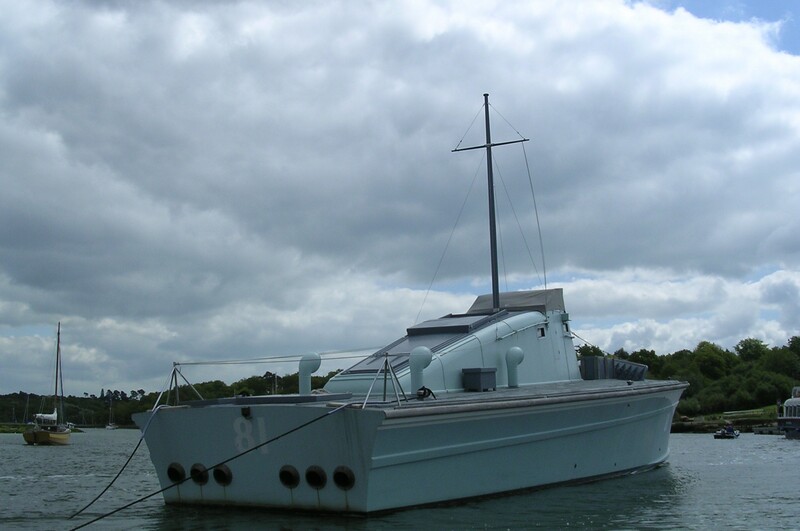 Since late 2009, MGB 81 has been based at Portsmouth, following her acquisition by the Portsmouth Naval Base Property Trust. Source: Paul Brown, Historic Ships The Survivors (Amberley, 2010), updated Mar 2011.